No longer made, this toy trailed after children singing the alphabet. The AlphaPup is the replacement model by LeapFrog. 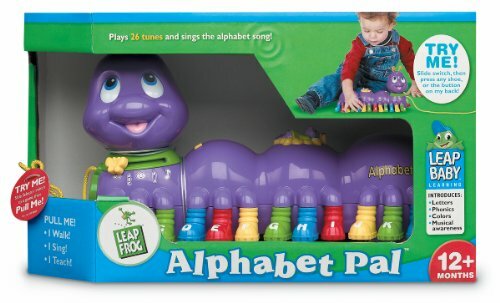 Looking for a toy that sings the alphabet? LeapFrog discountinued this toy, and have replaced it with a better version. They now have the AlphaPup, which uses a similar style, but more pup-like. It's got songs, little phrases for each letter, and looks pretty cute. This toy does a lot. It names colors, names letters, sounds out those letters, sings the alphabet when pulled along, and has a tune for each and every letter key. That’s 26 different tunes. While many users have expressed their delight with this little caterpillar, a bunch have also expressed how that delight soured into a nightmare of high pitched noise and ever-changing song fragments. It’s also very loud. Even on the Low setting, we feel it may be too loud for children who are going to be sitting right next to the speaker for any extended amount of time. LeapFrog no longer makes this model, and has replaced it with the more highly rated AlphaPup. We found the Pup’s voice to be more pleasant, and the keys to be less sensitive. 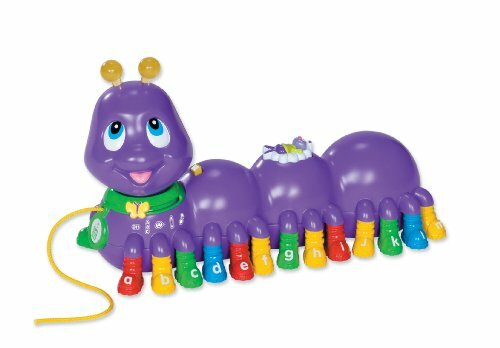 With the Caterpillar, the keys are part of the feet, which means rolling the toy over carpet can trigger a cacophony of half-finished phrases and tunes switching out mid-note. Many users found the Caterpillar annoying after a time, and have found the AlphaPup to be more appealing. 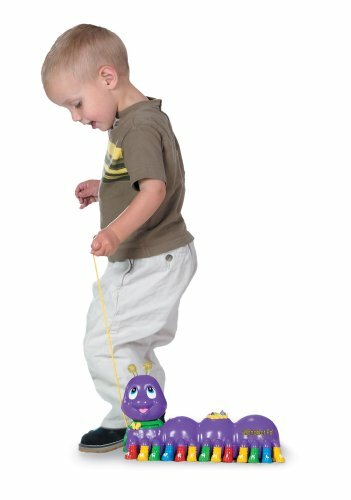 To see some of the sounds the Caterpillar makes, check out the video above, from Chotika C.
If you know of another great toy that would make a suitable alternative to the Caterpillar Pal, let us know, at info@theguidefortoys.com! This toy is no longer being provided by the manufacturer.